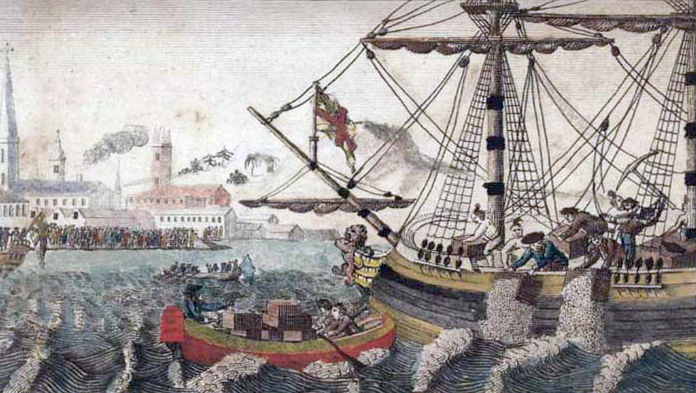 On December 16, 1773, nearly 60 hatchet-wielding men stormed three ships anchored in Boston Harbor. Frenzied, they hacked open hundreds of chests of tea and dumped the contents overboard. Their rage was fueled by incessant taxes levied by a British Parliament that refused the Americans any participation in proceedings that directly affected their lives. The latest tax on tea proved a tipping point. To pay it would be to admit the power of Parliament to legislate taxation without representation. 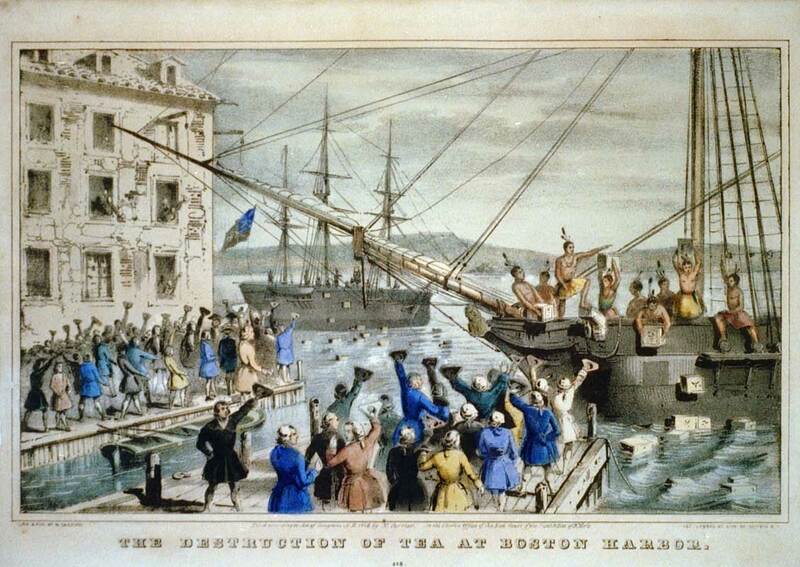 The citizens of Boston would rather do without their beloved drink than submit. Their protest was met with stern punishment. By March of 1774 the British had blockaded the port, town meetings were prohibited, free speech squelched, citizens disarmed and soldiers quartered throughout the town, ready to meet any further outbreaks with deadly force. Communities up and down the Eastern seaboard were alarmed yet fearful to respond, lest they suffer the same consequences. Some, like citizens on Maryland’s Eastern Shore, anonymously expressed in local newspapers sympathy with the besieged Bostonians but still pledged allegiance to King George. 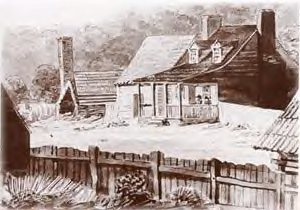 On June 11, 1774, a group of outraged citizens gathered at Charles Hungerford’s tavern, at the crossroads of what would become Jefferson and Washington streets in the town of Rockville, Maryland, to publicly declare solidarity with their besieged fellow Americans. The men were leaders of the county (at the time, Montgomery was part of Frederick County; it would not become a separate political entity until 1776). The group included such distinguished gentlemen as Dr. Thomas Sprigg Wootton and Col. Zadok Magruder; two centuries later the two men’s contributions to the county would be honored with high schools named after them. Together the men hammered out a set of resolutions that in no uncertain terms expressed their outrage over the Boston incidents. The Hungerford Resolves, as the resolutions became known, were the area’s first articulation of American freedom from Great Britain – published with names boldly stated. American rights. American freedom. They became the rallying cry of the ten men named in the resolutions, sent from the county to a meeting in Annapolis, to confer with representatives from other communities as to the best course of collective action. That meeting would be instrumental in setting up the First Continental Congress, which met on September 5, 1774, in Philadelphia. And the Hungerford Resolves became Rockville’s contribution to the events that culminated in the Declaration of Independence.